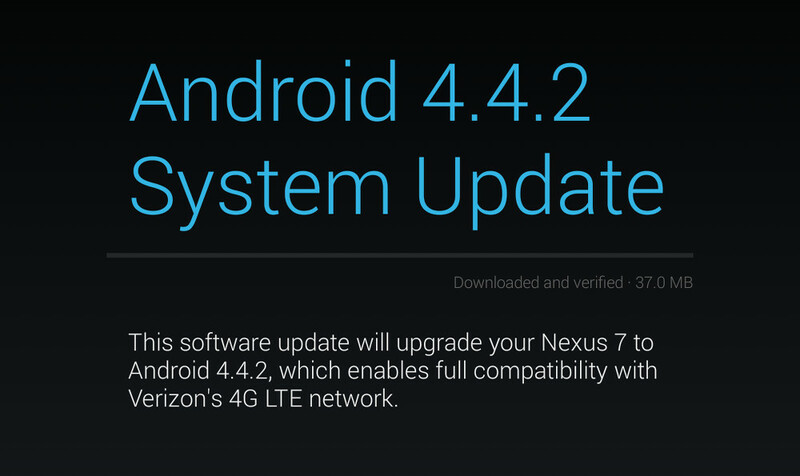 The Nexus 7 (2013) with LTE is receiving a 37MB update this afternoon that “enables full compatibility with Verizon’s 4G LTE network.” That’s literally all it says. The screenshot we have mentions that it’s Android 4.4.2, but as you all know, that update came long ago for Google’s 7-inch slate. You are looking at a new build number of KVT49L, though. The timing for an update that deals with Big Red’s network couldn’t be better, as the tablet is set to launch with official compatibility tomorrow in stores and online. We first reported the news that the Nexus 7 would be sold by Verizon this Thursday, even showed pictures of the unit in stores with a line-up of accessories. 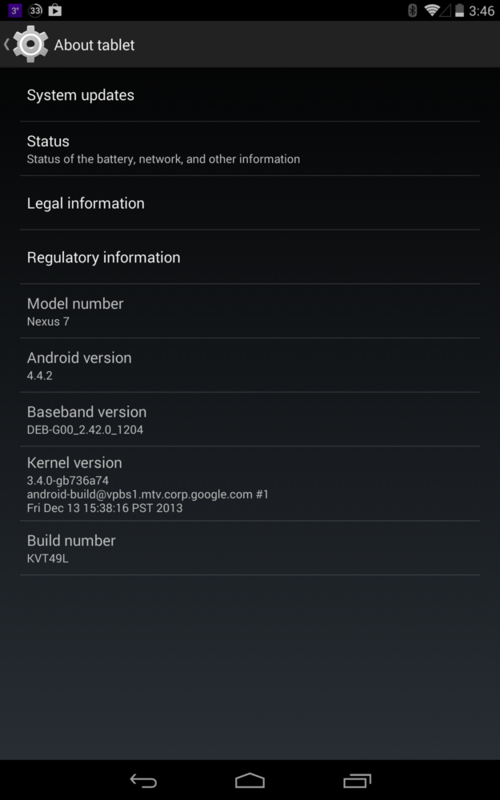 In the About screen below, we are seeing a newer kernel and baseband.